Drive traffic and sales in your Online Shop. 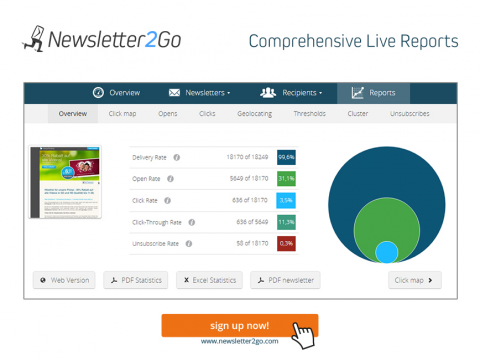 Create professional Newsletter campaigns in minutes with Newsletter2Go. Newsletter2Go's reliable and secure infrastructure protects your data. "Email marketing was the biggest driver of Black Friday transactions, with 25.1% of sales originating from the marketing channel. " 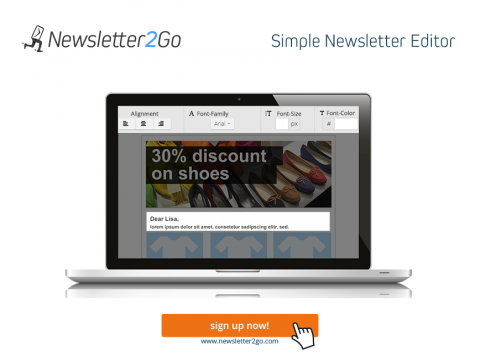 Use Newsletter2Go's Email Marketing Software to create professional newsletter campaigns in just a few minutes. Reach your customers with sales-driving offers and products, and set up automated email cycles that deepen your connection to your customers and raise your shop's revenue. You receive 1,000 free emails every month. Use the Interface to automatically synchronize your contacts bi-directionally. Assign your recipients individual traits, for example their purchase history or gender, in order to send Trigger Emails with personalized offers. With the 1 Click Product Transfer you can import product photos, information and prices directly into your newsletter with just one click. 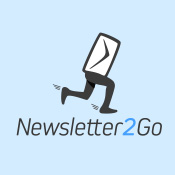 Newsletter2Go let's you send newsletters 100% securely. Our data protection management conforms with the strictest European standards and ensures the absolutely security of your data and information. Our servers are all verified and whitelisted, ensuring that your newsletters bypass spam filters. 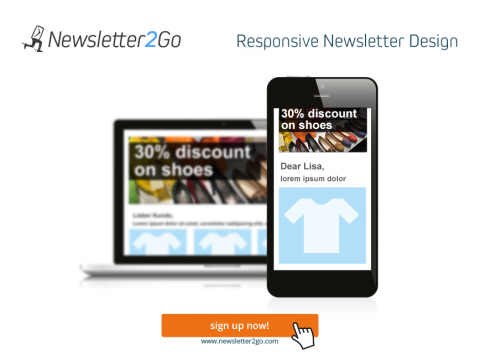 Newsletter2Go was founded in 2011 by Christoph Beuck and Steffen Schebesta in Berlin. Both founders remain with the company, and together have grown Newsletter2Go to serve 40,000 customers from 50 different countries as a leading provider of Email Marketing Software. The app is available in English, German, Spanish, French, Italian, Dutch, Polish and Portugese.